I am super impressed with each one of these, and be warned..this post has a million pics to prove it! 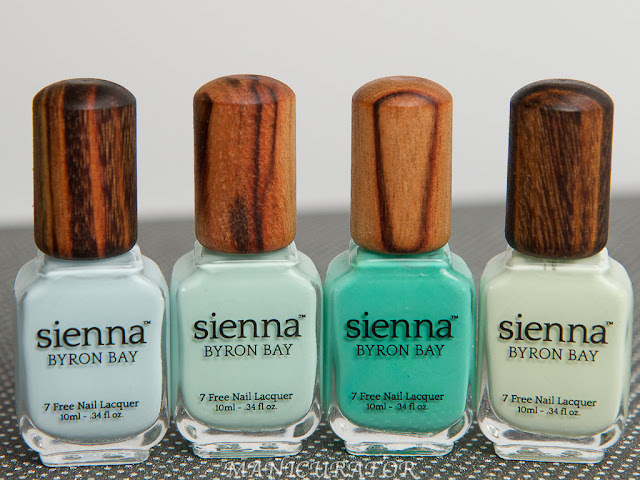 Teal Me About It is the only one in the bunch that is in a clear base, so I layered one coat over 2 coats of Barry M Tangerine (which is awesome by the way!) 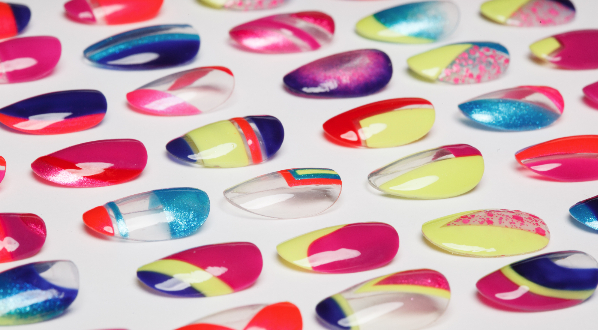 and topped with Seche Vite. 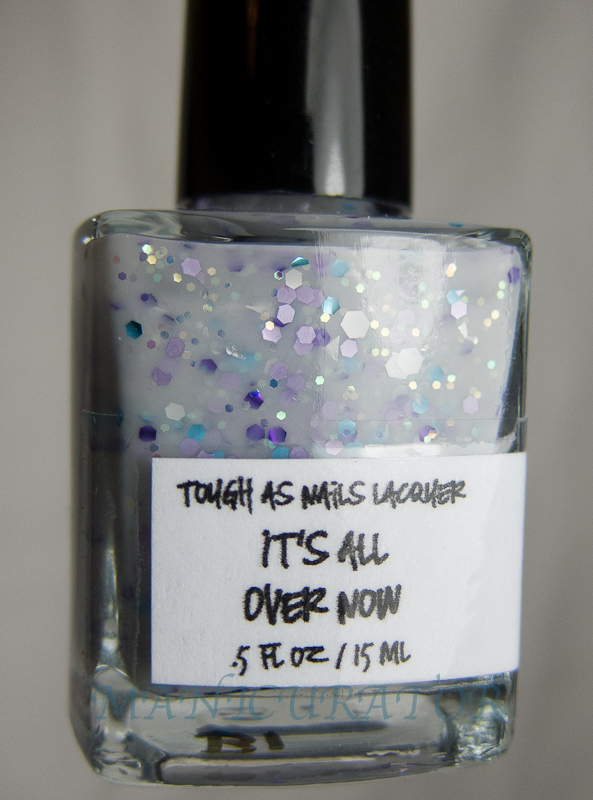 From her description (which I love) "It's All Over Now is a gray jelly lacquer. 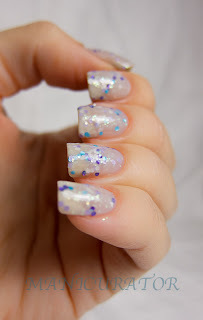 It contains purple, lavender, blue, and white glitter in varying shapes and sizes. It's All Over Now is a loner, known for being somewhat of an enigma, and is drawn to photographing skyscrapers in the rain." 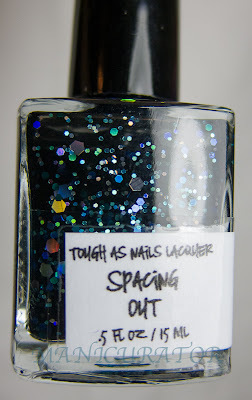 "Spacing Out is a black jelly lacquer. 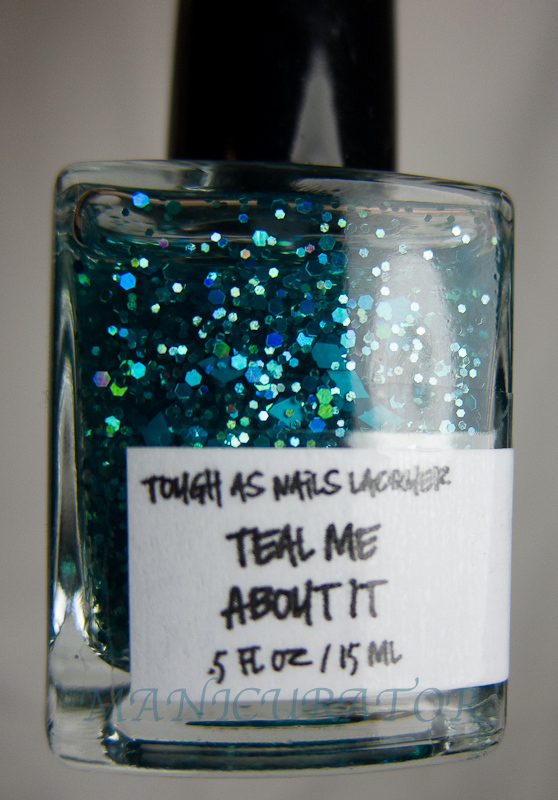 It contains teal, turquoise, blue, and silver holographic hex glitter. Spacing Out likes thinking thoughts, examining her fingerprints, and . . . wait . . . what?" Love her sense of humor! I thought I'd like this one the least...but surprise! It's my favorite of the bunch. 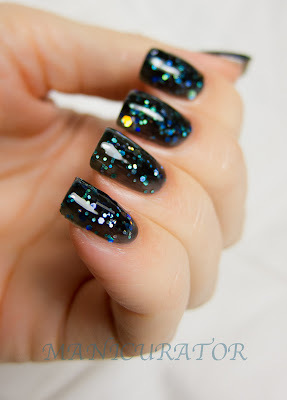 It's galaxy nails in 2 easy coats. I just couldn't stop staring. 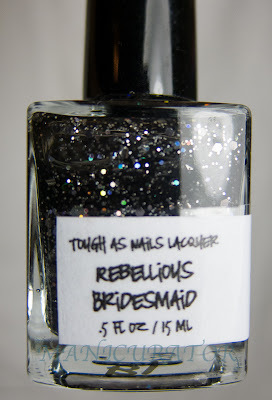 "Rebellious Bridesmaid is a sheer black jelly lacquer packed with tons of silver and silver holographic glitter in a variety of shapes and sizes. She likes riding her motorcycle on the weekends, whiskey, and has recently taken up spelunking." Love it! 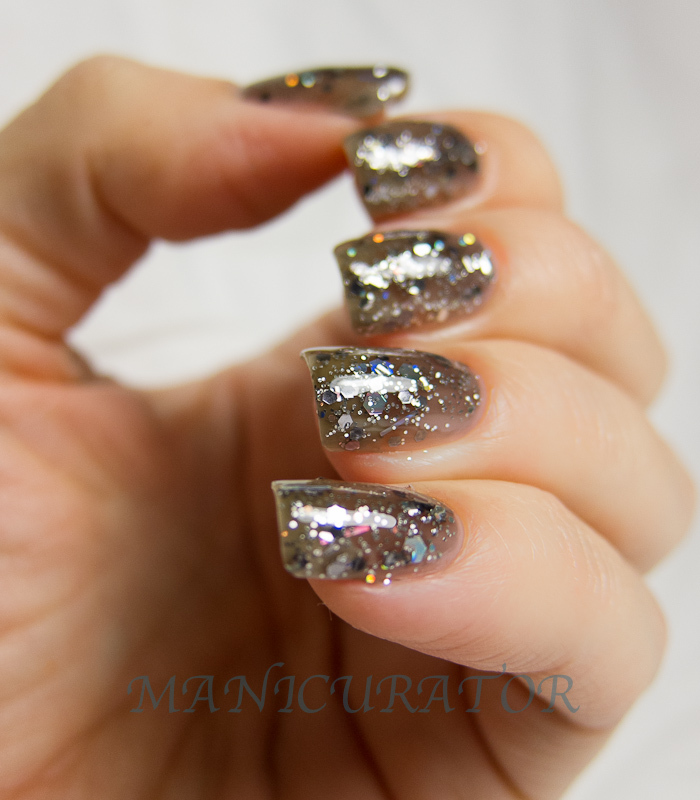 I used 2 coats, topped with Seche. Aren't these hot? No issues with formula at all. 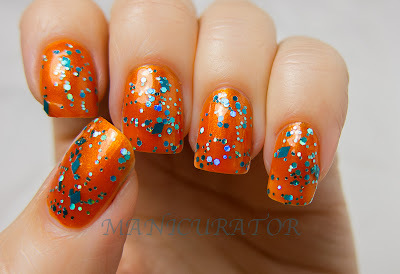 I used 2 coats and Seche Vite for these swatches, except the teal, that was just one coat over the orange "undies". I love these and can't wait to see what else Elizabeth comes up with! Which one is your favorite? wow! 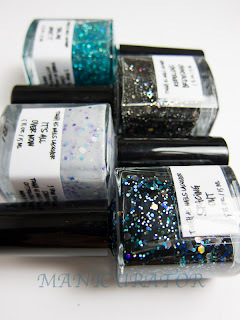 these are all awesome and i am REALLY impressed with the bottle and labels! These are all super pretty. And despite the fact that I really don't care for anything that involves teal I do have to say that layering combo is perfect! Thanks! 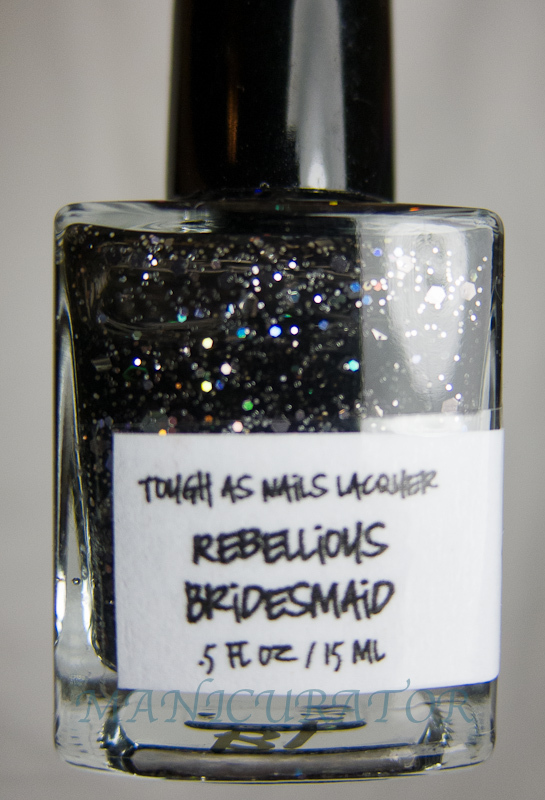 :) I wanted something that would really make the glitter stand out! Wow Spacing Out is what I wanted Orly Androgynie to be. 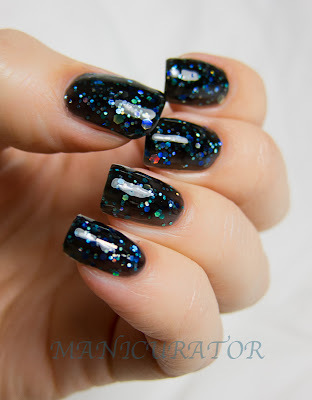 Opaque with visible glitter. 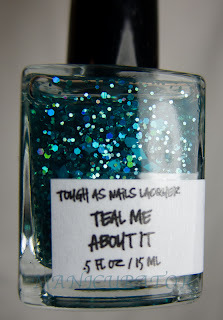 Nice work Tough as Nails and great swatching as always Victoria. These are awesome! You have some beautiful pics as well!!! Spacing Out is perfection! Can't believe it is opaque enough in 2 coats without drowning the glitter!